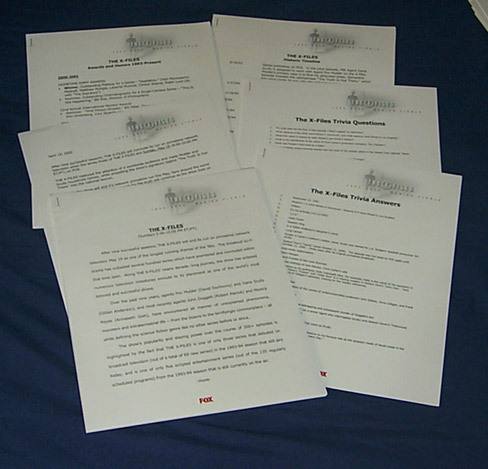 The outside of the folder that was sent to all the stations broadcasting the season 9 finale. 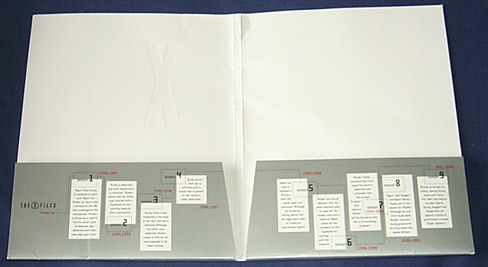 And the inside showing a timeline of notable X-Files events. 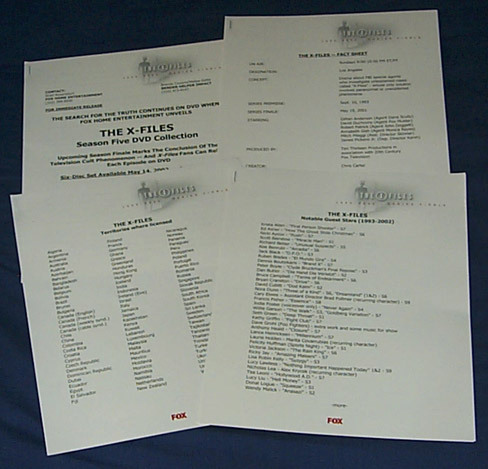 Some of the inserts from the folder: Timeline, Notable Guest Stars, Fact Sheet and Territories Where Licensed. 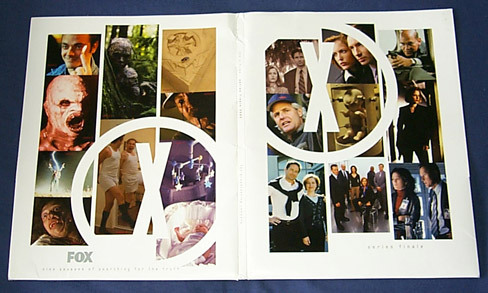 More of the inserts: Awards and Honors, Trivia Questions & Answers and season 5 DVD advert. 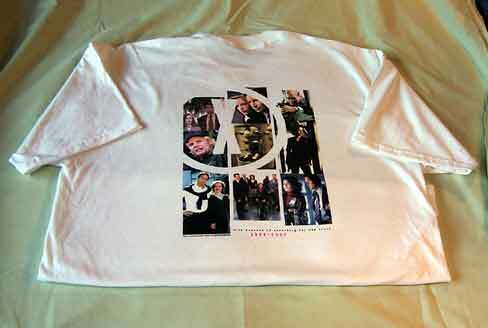 Back of T shirt issued with the finale promo pack. 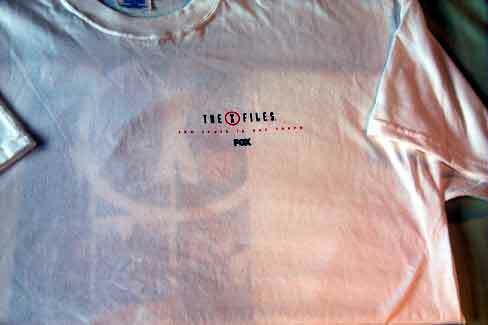 Front of T shirt issued with the finale promo pack. 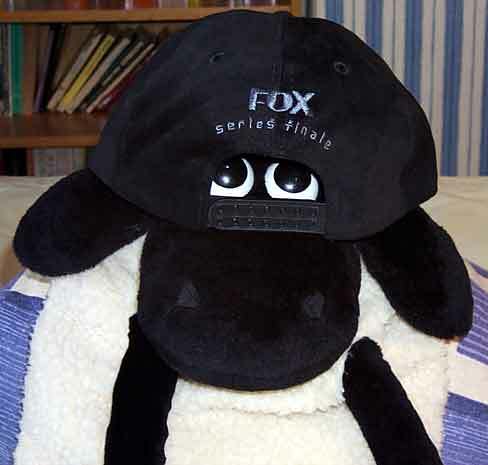 Front of hat issued with the finale promo pack. 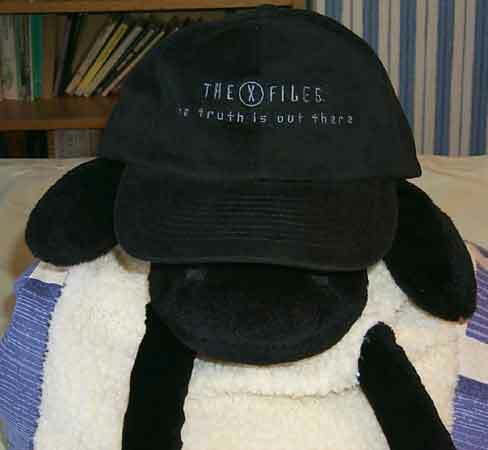 Back of hat issued with the finale promo pack. 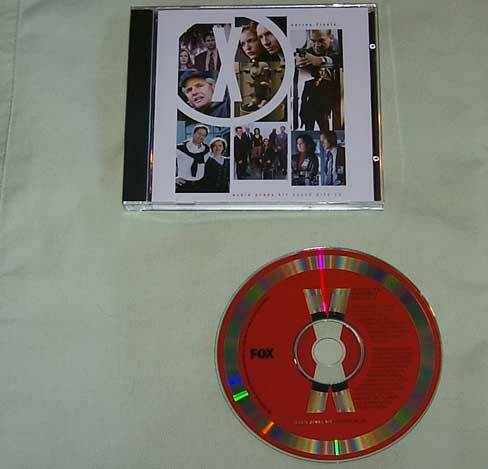 This CD contains clips of interviews with the stars and sound bites from memorable episodes. A leather bound photo album with index card and a photograph from each of the nine seasons. 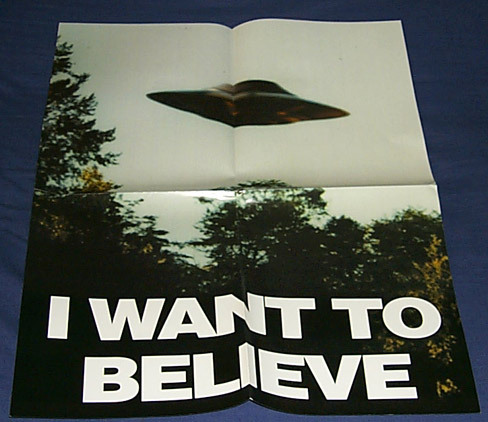 Back to my X-Files home page.